The only residential summer camp of its kind in the world, participants work hands on alongside professional animal care staff to care for a variety of animals, many rare and endangered. An English boys' camp in Quebec, Nominingue offers the ultimate outdoor experience: living in a tent with the opportunity of going on wilderness canoe trips. It is the place where your summer adventure begins! Boost your camper's self-confidence in a fun, safe & supportive community. Great staff, delicious food, comfy modern lodging and a variety of over 50 activities to choose from! For more than 100 years Onondaga Camp has provided an inclusive environment where young people can play, explore, achieve and grow. Offering over 30 different activities, there is something for everyone! Est. 1914. A traditional boys' summer camp on a wooded island in the heart of Algonquin. Full in-camp program. Wilderness canoe trips, water and land sports, ropes, ecology. A spectacular setting and exceptional staff. Professional and fun, themed March Break and Summer Camps. From Moana to Justin Timberlake, we make dance and music training fun! Ballet, jazz, hip hop, voice, music and other activities. No experience necessary. This all girls summer camp located on its own lake in Algonquin Park offers a variety of camp activities, along with specialty programs for canoe tripping, mini camp and kindercamp! We offer a safe and fun adventure! Lakefield Camp is a traditional Canadian overnight summer camp that offers various outdoor & indoor land/water sports & activities, from sailing to theater arts, a complete ropes course, language classes & so much more! An all girls summer camp located on Georgian Bay, operated by YWCA Toronto. Camp “Tap” focuses on empowering and supporting a diverse group of girls through a broad range of arts and outdoor activities. Offers many sports summer camp activities along with ESL and FSL integration. Activities include golf, horseback riding and much more. Our Fashion Modeling Camps are an amazing opportunity for participants to build their confidence, develop their skills, and discover their talents. A coed day camp running summer beach volleyball camps,weekly indoor clinics, after school programs, private training, and March break camps. A traditional summer camp with over 26 sports and camp activities, including swimming, tennis, canoeing, biking and more. Grow into a citizen of the world with this unique summer camp offering international travel, sailing aboard a tall-ship, education in geography, environmental sciences, leadership, communication skills, and so much more! A traditional, outdoor, athletic, & life skills camp for kids 7 - 17. Exceptional camping & canoeing. Over 30 sports & activities for kids from Canada, US, & Europe; family operated for 71 yrs. An awesome experience! A nature-focused camp in a conservation park. Cozy dorms, delicious food, caring staff and lots of time outside being a kid. We help your child build confidence and independence through adventure, leadership & teamwork. Camp Ahmek and Camp Wapomeo offer a balance of canoe tripping and programming. Activities include swimming, canoeing, arts & crafts, horseback riding, sailing and more. Canoe trips range in length from 2 to 50 days. Camp Santosh combines the fun and adventure of a traditional summer camp, with yoga, meditation, breathing techniques and human values education. A unique, intimate small camp experience. So much fun with amazing life lessons on self esteem, empowerment, self understanding and a variety of activities, paddle boarding, boxing, yoga, boot camp, meditation and more. If your child enjoys swimming, dancing, gymnastics and loves music and team work, synchronized swimming may be the ideal sport for HIM or HER! We feature an incredible line-up of camp activities in our Traditional General Camping Program, and children can also choose to specialize, if they wish, in Trampoline, Gymnastics, Aerials or Wakeboarding & Water Skiing. Developing better shooters is what we do! Four Point Basketball is to provide hands-on, structured curriculum and exceptional coaching in a caring and positive environment to all youth. Olympia Sports Camp gives kids the professional instruction and guidance to grow and excel-and to have fun while they do it!Choose from over 90programs in Sport,Leadership,Adventure,Art,Recreation,Self-Discovery&Fitness. A traditional overnight and day camp located 1 hour north of Toronto. Activities include: canoeing & kayaking, archery, paintball, tennis, trampoline/circus, horseback riding, bushcraft, drama, arts, and swimming. For 99 years Chikopi has something for everyone. If your son enjoys a variety of sports and being outdoors you can stop looking now because you’ll find all that and so much more at Camp Chikopi! This camp in the heart of the Muskoka- Gravenhurst area offers a traditional summer camp experience for girls, with canoeing, camping, more. Eastern Ontario summer camp where kids participate in a variety of activities and sports including rope courses, leadership and more. Fun! Friends! Success! An integrated overnight summer camp for children & teens with and without ADHD, LD, and high-functioning ASD. We provide a SOCIAL SKILLS program, ACADEMIC program and 50+ activities. Theatre day camp that introduces kids, teens, and adults to the joys of performing, and trains those looking to pursue theatre. Develop self-confidence & social skills while exploring the world of the stage. A traditional, all-girls summer camp with various outdoor activities including sailing, wilderness trips, arts activities and more. Offering 2 or 4 week sessions or an introductory weekend. A traditional day camp offering a summer of unplugged activities both indoors and out, including arts & crafts, weekly nature themes and outdoor free play in our 20+ acre campus with forest playground and open field. An adventure-based camp on a tall ship - leadership, good citizenship & lifelong friendships built through working alongside crew sailing the vessel(s). HS credits on Fair Jeanne, small group ages 12+ sailing Black Jack. Athlete Institute is elite basketball in Canada! Our summer camp will enhance your basketball IQ & offensive skills. LEARN & PLAY with Canada's best coaches & athletes to EXPERIENCE the ultimate basketball summer camp! A unique marine science camp located on beautiful Grand Manan island in the Bay of Fundy. Our program includes whale watching excursions, sea kayaking, hiking, activity-based education, and more. An overnight camp in Rosseau offering adventure and a variety of land and water activities. Our beautiful lakefront camp is the ideal place for children to spend their summer making new friend and learning new skills! 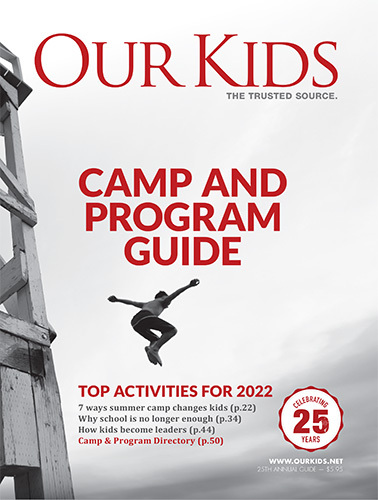 Situated on Ontario's Bruce Peninsula, near Lions Head, this traditional overnight summer camp features specialized instruction in land &water sports, fine arts, performing arts, out-tripping, and nature activities. Kids Inc provides a variety of activities - swimming, canoeing, archery, theme days, crafts, LIT, catered lunch option, junior camp and more. Bus service included from Peel, Halton, Orangeville, Guelph Areas and beyond! A co-ed overnight camp on 200 acres in Poland, Maine. Campers enjoy an elective program with 100+ choices that focuses on instruction and skill development in Arts, Athletics, Enrichment, Outdoors and Waterfront. Arts-focused camps, classes and workshops supporting a creative learning environment where children, teens and families are encouraged to explore and enrich their lives through the arts. Muskoka summer camp with sports like sailing, water skiiing and golf as well as arts programs like dance and drama. High quality of training in full range of dance classes for kids. Free trial classes are available at each location. Summer dance camps run in July-August annually. A horseback riding camp for girls, located northeast of Toronto. Each camper has their own horse to ride in two lessons per day (English), daily horse care and stable management instruction. Yoga programs for kids are an ideal way to introduce children to this practice. In camp, the training children receive will be focused on appealing to abilities and interests at their maturity level. There are yoga training programs for kids as young as five years old. The discipline of yoga is known to help kids manage stress, and teach them to calm their minds. Experts and observers feel that children today face different, unique stresses from those of previous generations. Kids often internalize stress in ways that are not healthy. Unchecked stress can manifest in health issues that include migraines, lack of sleep and other disorders. Encouraging your child in yoga offers an alternative means of self-understanding and self-control, healthier than other less holistic-oriented interventions. Kids who learn yoga find a positive outlet that gives them a measure of control over their stress and over their bodies. It helps them develop body awareness. They manage stress through controlled breathing and meditation techniques. It improves their ability to focus and to concentrate. They participate in a peer group with like-minded interests. When you send children to one of the camps here, you will almost certainly notice a difference in their attitude, before and after yoga sessions. Kids gain perspective and become more relaxed through the techniques and the philosophy espoused.